Rustan's Supermarket has a wide array of grocery choices and lots of yummy finds but it also aims to promote healthy eating amongst kids especially with its fresh selections of fruits and vegetables. And as a special treat for kids, it welcomes the return of the Goodness Gang, the Body Squad Edition. 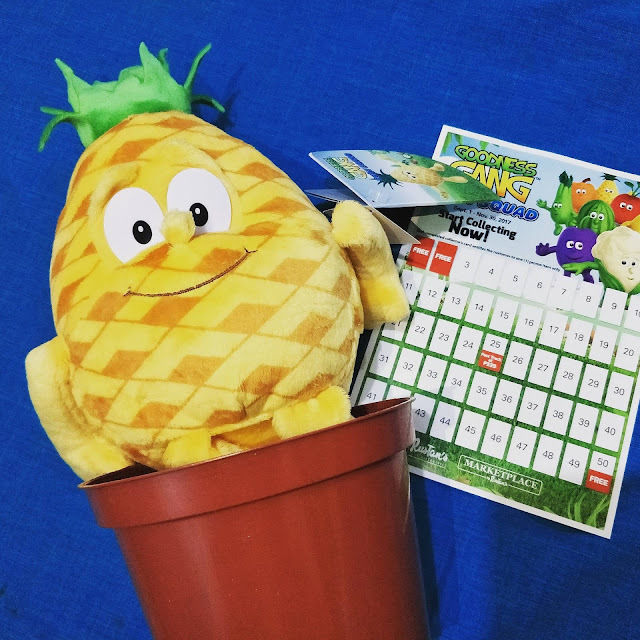 From September 1 to November 30, 2017, stickers will be given to grocery shoppers and you can fill the sticker card to receive an adorable Goodness Gang plushy toy. One sticker will be given for every Php 300 purchase and additional sticker if you purchase a sponsor product. 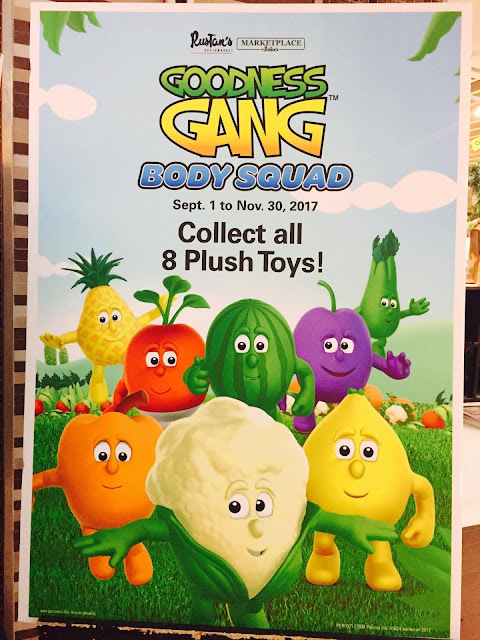 Join in and collect the eight Goodness Gang plushy toys. For every 50 stickers earned, you get to choose your own plushy, or buy them at Php 399 each when you earn 25 stickers. 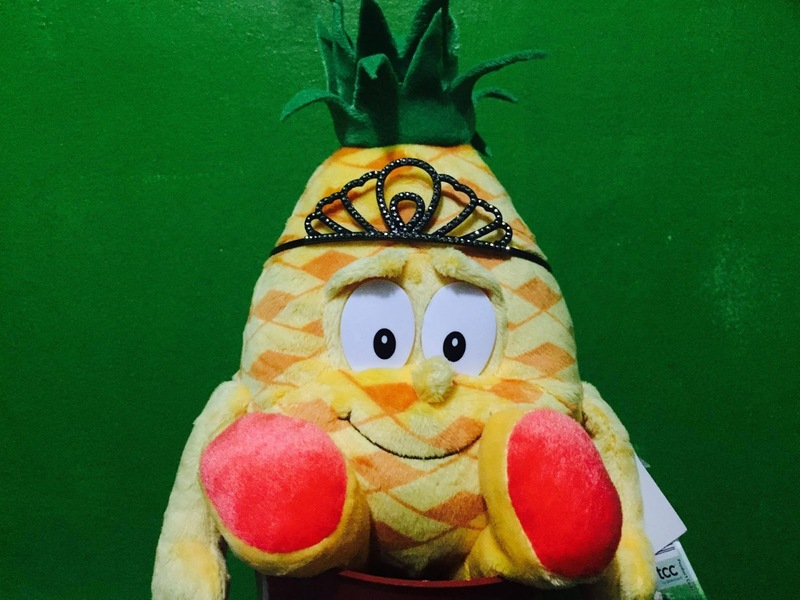 Pio Pineapple tops my list. Why? Because I love pineapples, that's why. Pineapples are rich in fiber and it greatly helps in making the tummy healthy. For an energy boost, you have to be best friends with Linda Lemon because she has this amazing ability to keep you from getting sick. Then there's Paulie Pumpkin who is not only charming but is also full of Vitamin A to help keep your eyesight sharp. Of course, Randy Radish is kinda dandy and will protect your kidneys and scare away those kidney stones. Chloe Cauliflower looks cute but did you know that she can help in making your brain healthy so that you'll get good grades in school? Not to be outdone, Cindy Celery will surely make you smile a lot because her specialty is keeping your mouth and teeth clean. And oh, let's not forget Wally Watermelon, the tough guy! He is made up of 92% water and will keep you hydrated even if you play under the sun and even give you a dose of Vitamin A, C, and B6 to make your heart, eyes, skin, and liver function in top shape. We all know that fruits and vegetables help in providing all kinds of nutrients to every one especially children and promote good health and combat sickness. The Goodness Gang Body Squad possess these traits and are the perfect friends for your kids.